Easy cosmetic kitchen updates that will save your budget! 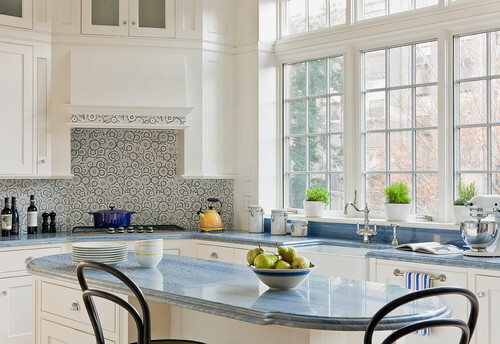 A successful kitchen renovation can add thousands to your home! With home prices being at an all time high renovators need to be thrifty and use their budget wisely. Property Buyer suggests that before you start renovating, it is wise to get a valuation and then you can narrow down the amount of money you plan to spend. If you only have a small budget, then here are our top tips for keeping your costs down and achieving maximum impact. Painting is the cheapest and most economical way to freshen up your kitchen. If your current cupboards and kitchen layout works, then painting them is an awesome solution. You can have the doors resprayed professionally, however, this can add dollars to your budget. Timber cupboard doors just need a light sand, prime and a repaint. However if your doors a laminate, then it’s a different story. An easy way to tell if your doors are laminate or not is to feel them and if they feel like plastic and have a chip board inner section then it’s highly likely they are. They can be painted BUT you will require a different paint. They will also need to be cleaned really well and primed. You will need to take off the handles but you can leave the hinges on to save time. The right primer will need to be used otherwise your paint will peel straight off. Dulux have just launched a new product called Precision. It’s fast drying and you will be ready for the top coat before you know it. The end panels of the kitchen will also require painted the same way. Here is a great tutorial from Bunnings on how to paint your laminate cupboards. Chipped end strips can really let a kitchen appearance down. However these can be easily repaired with a product called Edge Strip. You just need a heat gun, sharp chizel and a iron. Chizel the old strip off and give it a light sand then you can iron on the new strip with baking paper and the heat gun. Just make sure the iron is not too hot by using the cotton setting. You then just need to trim away the excess. Are you looking for an amazing splash back on a budget? Wallpaper tiles are an amazing innovation that enables you to stick over existing tiles on your splash back. There are so many patterns and it’s a very inexpensive way to create a fresh look and feel to your kitchen. Clear Acyrilic or glass can be ordered and cut to size so you can protect the paper. If you can’t afford to get new appliances and your’s are looking yellow or just plain dirty you can now purchase appliance spray paint to freshen it up. Check out the Dulux range which has a stainless steel colour! This Domain article, however, recommends purchasing great appliances, especially in those higher net suburbs. You will always get your money back if you do decide to sell down the track. Check out the appliances you can purchase online and save thousands. If your budget can take it then a new bench top can make all the difference to a kitchen upgrade. There are so many styles on the market now and you can even order a custom bench top online and have it delivered. Paradise kitchens offer a variety of bench tops online including laminate and even caesarstone quartz. Just make sure you measure and measure again and if you are not sure then get a professional to advise on the size. Pendant lighting is a great inexpensive way to create a impact in your kitchen. There are so many great bargains you can scroll through online and all you need to do is pay for an electrician if you are adding this as a new feature. Check out our top pendant light picks in our shop! Need more inspo? then check out our blog for choosing kitchen pendant lights. Is your shelving looking old and stained? Then all you need to do is measure up the size of the shelving and go and grab some MDF and ask for it to be cut to size at your local hardware store while you’re there. You can also add additional shelves if you need to create more space in your kitchen as well. Tap ware and sinks have come along way since the standard stainless steel. You can choose from a massive range online. One word of advice, make sure that the sink you choose meet Australian standard and are the right size and fitting for your space. It is always best to check with your plumber to make sure you are purchasing the right fittings. Renovating your kitchen doesn’t have to be expensive to make an impact. You can make such a difference to the functionality and enjoyment by a simple upgrade! It’s always going to be more enjoyable cooking as a family and using the space when it’s clean and fresh. Remember planning and not overspending is the key to a great kitchen upgrade & renovation.